The item A cold legacy, Megan Shepherd, (electronic resource) represents a specific, individual, material embodiment of a distinct intellectual or artistic creation found in Lawrence Public Library. With inspiration from Mary Shelley's Frankenstein, this breathless conclusion to the Madman's Daughter trilogy&#8212; perfect for fans of Libba Bray&#8212; explores the things we'll sacrifice to save those we love . 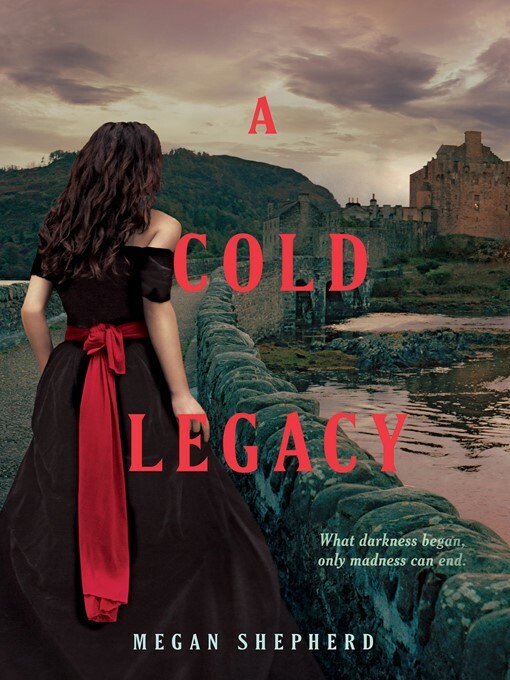 . . even our own humanity.After killing the men who tried to steal her father's research, Juliet&#8212; along with Montgomery, Lucy, Balthazar, and a deathly ill Edward&#8212; has escaped to a remote estate on the Scottish moors. Owned by the enigmatic Elizabeth von Stein, the mansion is full of mysteries and unexplained oddities: dead bodies in the basement, secret passages, and fortune-tellers who seem to know Juliet's secrets. Though it appears to be a safe haven, Juliet fears new dangers may be present within the manor's own walls. Then she uncovers the truth about the manor's long history of scientific experimentation&#8212; and her own intended role in it&#8212; which forces her to determine where the line falls between right and wrong, life and death, ..